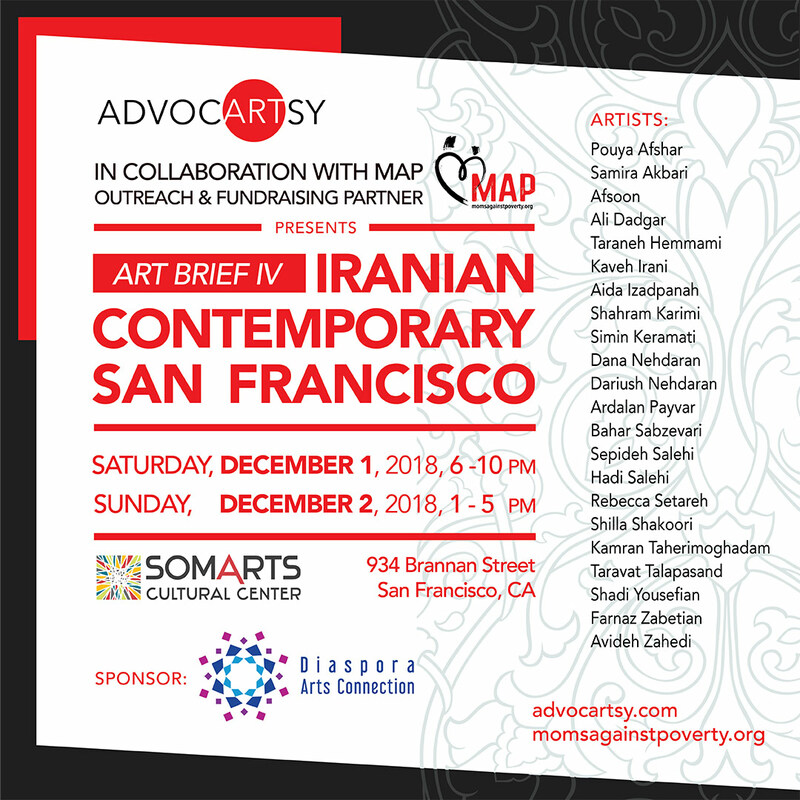 ART BRIEF IV: IRANIAN CONTEMPORARY SAN FRANCISCO explores the diverse ways artists of Iranian background in diaspora create and define ‘Iranian Contemporary Art’. 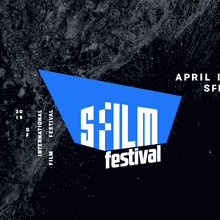 The works of 22 Iranian Contemporary artists exhibited speak to the various artistic reactions and reflections to the realities of identity formation in diaspora, the pain and joy of exile, the call of nostalgia, and the fragmentation of the self. 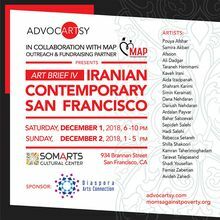 ADVOCARTSY is proud to collaborate with Moms Against Poverty (MAP) as its official community and fundraising partner for this event.